WCF fully embraced Russia’s anti-LGBT law against “homosexual propaganda,” passed in 2013, which made it a crime to disseminate information about LGBT rights among minors (effectively banning public dissemination). WCF executive director Larry Jacobs called the law a “great idea” and hailed Russian officials for preventing gay people from “corrupting children.” WCF also signed a letter of support for the Russian law, decrying opposition to it. In 2009, WCF opposed a UN statement that called for the decriminalization of homosexuality worldwide. WCF argued that this was a “special rights measure” for homosexuals. Two Russians who have been heavily involved with WCF are on the U.S. sanctions list following Russia’s annexation of Crimea. Parliament member Yelena Mizulina was the driving force behind the nationwide push for the anti-gay propaganda law. As the head of the Russian parliament’s Committee on Family, Women and Children, she has pushed for other policies, including punishing online cursing and imposing a tax on divorce. The other is Vladimir Yakunin, CEO of Russian Railways, who sits on the planning committee for WCF. His wife, Natalia Yakunina, heads up the Sanctity of Motherhood program. WCF was founded in 1997 as a project of the Illinois-based Howard Center for Family, Society and Religion by conservative activist Allan Carlson, who has a long history in the Religious Right and served during the Reagan administration as an appointee to the National Commission on Children. WCF hosts major conferences in cities around the world and counts U.S. conservative groups among its allies. The list of partners for its Sydney, Australia conference (held in 2013) included the Alliance Defending Freedom, Concerned Women for America, Family Watch International, Focus on the Family, National Organization for Marriage and United Families International. Partners from 2012 included Americans for Truth about Homosexuality, the Family Research Council and the American Family Association. 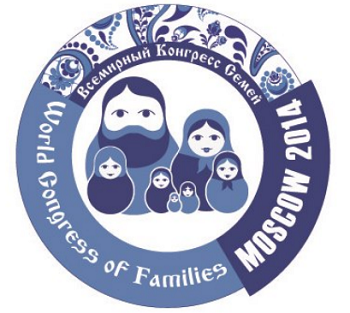 U.S.-based groups that are involved in the planning stages of the Moscow conference include Focus on the Family, Alliance Defending Freedom, the Christian Broadcasting Network and the Catholic Family and Human Rights Institute (C-FAM). Austin Ruse, C-FAM’s president and a longtime WCF organizer, recently said that liberal university officials should be “taken out and shot.” A C-FAM board member resigned in response. Concerned Women for America (CWA) withdrew from the Russian conference two weeks ago as tensions between Russia and Ukraine escalated. Janice Shaw Krouse, a senior fellow at CWA’s Beverly LaHaye Institute, sits on the board of the Howard Center. CWA president Penny Nance told Buzzfeed that she didn’t want to appear to be “giving aid and comfort to Vladimir Putin.” WCF does not appear to share her concern.